Come experiment, collaborate, play and take risks with us. Art and design enable us to see and think in ways that everyday reality cannot. Our students, teachers and researchers are exploring new ideas, materials and technologies; connecting histories, communities and possibilities. 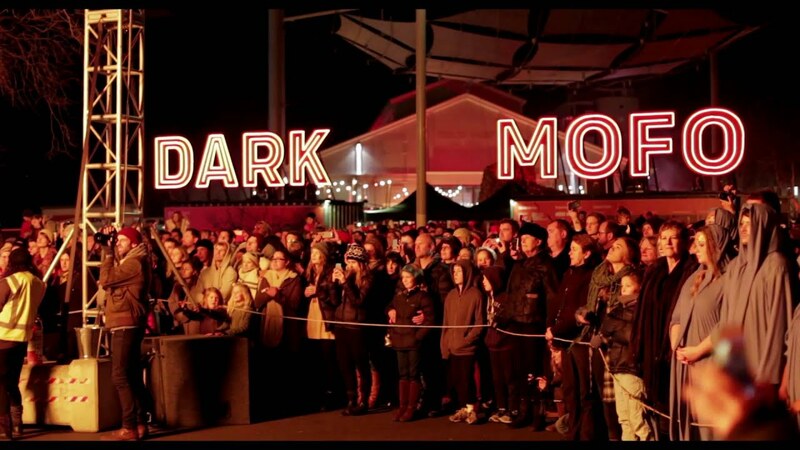 It’s all unfolding against a backdrop of Tasmania’s vibrant creative scene. At the School of Creative Arts, you will feel the MONA effect intensified, with regular opportunities to engage and work with visiting artists commissioned by this game-changing institution, plus Detached, TMAG and others. Hone your creativity in fully-converted late-19th Century spaces including Hobart’s iconic Jones & Co. IXL jam factory and the Launceston & Western Railway station and goods yard – iconic locations in the heart of each city's creative precinct. Enjoy more one-to-one time with expert staff who themselves are practising artists, drawn by Tasmania’s groundswell of creativity and acclaimed cultural events. Be connected to a global creative context, with opportunities available both in, and outside of Tasmania. Make art where art is being made. The AIR program finds professional local, interstate or international practitioners, or an outstanding alumnus, extend their contemporary theatre practice while positively impacting the students and culture of the School of Creative Arts. While pursuing their independent performances, the invited artists engage explicitly and individually with students. The program creates tangible links between your learning experiences within, and the ‘live’ professional practice beyond. Get involved in our presentation series held during each semester called the Arts Forum held in both Hobart and Launceston. Each week, students, staff and the community gather to hear local, national and international speakers from all corners of the arts discuss their professional practice and research. Recent highly respected presenters include, Bruno Latour, Alfredo Jaar, Cameron Robbins, Kirsha Kaechele and Vito Acconci. An award-winning London-based furniture designer. The friends who founded their own brand agency in Melbourne. A contemporary artist whose dreamy installations have taken New York City by storm. 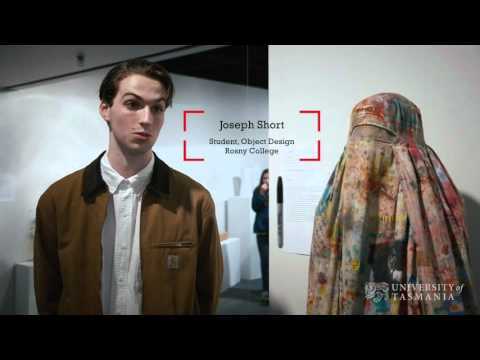 These are just a few examples where the study of art and design has taken UTAS graduates. When you go beyond the creation of art and think about its application, management and distribution, an abundance of exciting career opportunities present themselves. "I like the broadness of this creative field. I am totally liberated. It is very open, and I enjoy the process of being an artist that allows me to work with many industries. Fashion is no longer just fashion, it is alive together with art." Studying art and design at the Tasmanian College of the Arts is based on a dynamic exchange between theory and practice, analogue and digital, art and science, studio specific and inter-disciplinary. Beyond the practical skills, this experience enhances your creativity, communication, critical thinking and innovation – preparing you for a career as a creative practitioner across a range of existing and emerging industries. Whether your focus is on a specific art studio, or a contemporary multi-disciplinary art practice, you will develop the conceptual, theoretical and practical skills and experience need to succeed in your chosen field. "For me, this place is therapy. It’s delicious. If you’re an artist, you want to practice it every day... Just getting amongst Hobart, which is thriving at the moment, has been great. I’ve been going to openings, talks at the museum, and festivals." You’ll work with experienced artists, participating in individual and group-generated projects and studio practice. You’ll have access to a rich and varied exhibition program. This includes international exhibition projects, exhibitions by well-known established Australian and emerging artists and designers, including our current and graduating students. Our design students can also work in our professional practice program that provides hands-on experience working with clients and industry-based projects. 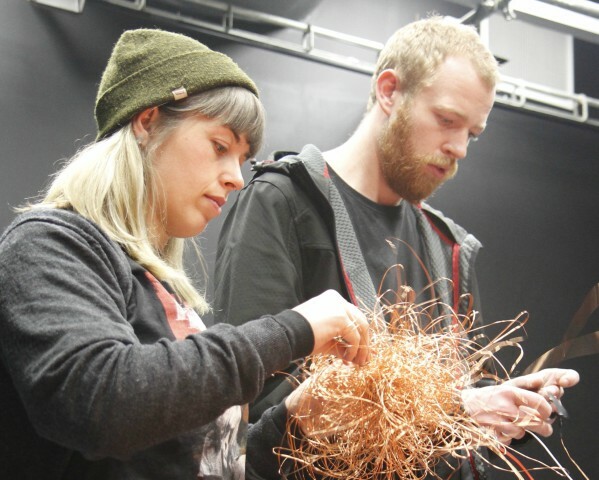 While the University of Tasmania is no longer taking applications for the previous fine are and design postgraduate offerings, we invite you to explore all postgraduate courses currently available across Art, Music and Theatre or Media. The School of Creative Arts will offer an exciting new opportunity for college leavers undertaking a GAP YEAR in 2018. The GAP YEAR PROGRAM enables participants to engage with the art school for one month without enrolment or fees. As a GAP participant you will be granted special access to facilities, studio classes, lectures and presentations. Participants will also be supported by mentors aligned with a studio area relevant to your practice. Year 11 and 12 students are given a taste of what it's really like to be an artist and to be at the university. 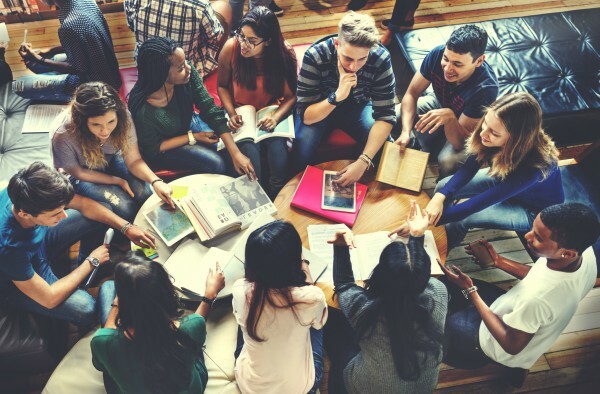 The School of Creative Arts University Connections Program (UCP) (formerly known as the University College Program), enables students in Year 11 or 12 who are studying Art or Design to undertake introductory level university units at the same time or in addition to their TCE studies. Those who intend to study pre-tertiary Art or Design in year 12 will particularly benefit from undertaking this program. 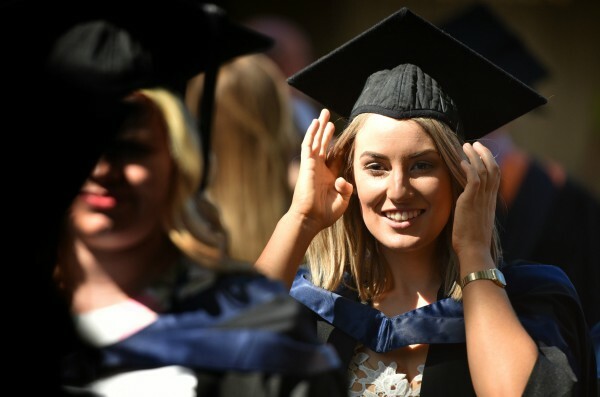 This credit can also count towards a number of other degrees at the University of Tasmania and at other universities. The School of Creative Arts is offering Object Design (FSF104) for eligible students. The Object Design unit has been designed for students who have successfully completed, or who are demonstrating outstanding progress in Design and Production, or equivalent unit, at college level. Watch: Object Design | What you will experience. As a student of the School of Creative Arts both the University and the School provide access to a variety of scholarships and bursaries at a University, College of Arts, Law and Education and Discipline level. The main application period begins in August, and closes on the 31st October the year prior to study commencing. The College also offers a financial assistance program for students wishing to undertake Short Term Overseas Study Programs. Each year, proposals are invited for artist studio residencies at the Rosamond McCulloch Studio. The residency is open to University of Tasmania visual arts graduates, with a preference for those who currently reside in Tasmania. There is also the opportunity to receive a stipend to help support your residency. If you intend to study a Bachelor of Fine Arts with Honours, completing this year of foundation study in Diploma of University Studies (Arts Specialisation) (21A) will assist you in achieving your goals. An overseas study program gives you the opportunity to experience different cultures, study languages, undertake work placement or internships, make new friends and explore the world while receiving credit toward your degree. It provides a 'total immersion' experience in a variety of study areas and locations. You can choose a program length that suits you, from a 2-week fieldtrip, a short-term summer program to a full semester (or two). The University of Tasmania was the first to offer studio-based art PhDs and Masters degrees by research and has a reputation as one of the premier research training institutions. A strong HDR culture attracts significant scholarship support and high-quality national and international candidates, guided by regular supervisor contact, research methods training, weekly critiques and twice-yearly research symposia. The School of Creative Arts Art program welcomes qualified applicants for research degrees to study with us in any of our areas of research strengths and interests. To find out about application procedures, entry requirements, and scholarships, please visit the Research Degrees web page. The School of Creative Arts operates three galleries across the state, and is affiliated with another. Each gallery hosts professionally curated exhibitions of international and national renown, showcasing a diverse range of artists, designers and students. These spaces not only enable students to participate in Tasmania’s internationally acclaimed arts culture, but the provide curation, installation, and exhibition design experience that complements their coursework. The Plimsoll Gallery is on Hobart's historic waterfront, a short walk from the Tasmanian Museum and Art Gallery, Salamanca Place and the city centre. It showcases curated exhibitions of innovative local, national and international contemporary art and design, and the work of Research Higher Degree candidates and Honours students from the School of Creative Arts. The Academy Gallery is dedicated to the pursuit of excellence by exhibiting contemporary art and design including works from School of Creative Arts students. It is a modern Level A class exhibition space incorporated into the Inveresk cultural precinct. The exhibition program aims to display art, craft and design that is insightful, challenging and rewarding to the community. The Entrepôt Gallery is a student gallery run through a partnership between the Tasmanian University Union and the School of Creative Arts. It offers visual art students the opportunity to develop their professional practice by exhibiting and/or curating new and experimental work in a public gallery space. Priority is given to students who have little or no experience in exhibiting their work. This contemporary space aims to present a diverse annual exhibition program that enhances the learning and cultural experiences in Tasmania’s North West and provides professional opportunities for a broad variety of designers, craftspeople, artists, curators and students. Affiliated with the School of Creative Arts, the Makers’ Space attracts over a hundred and thirty thousand visitors per year. As artists we are helping to heal heavy metal contamination in Hobart’s major river system, examining the implications of emerging biotechnologies and articulating a brighter post-industrial future for a regional community. We are working with scientists, environmentalists, architects, engineers, musicians and designers, lending our creative expertise to tackle contemporary challenges as diverse as the environments and communities involved. Mirroring our approach to learning and teaching, our research is defined by our capacity to connect with new disciplines, communities and opportunities. 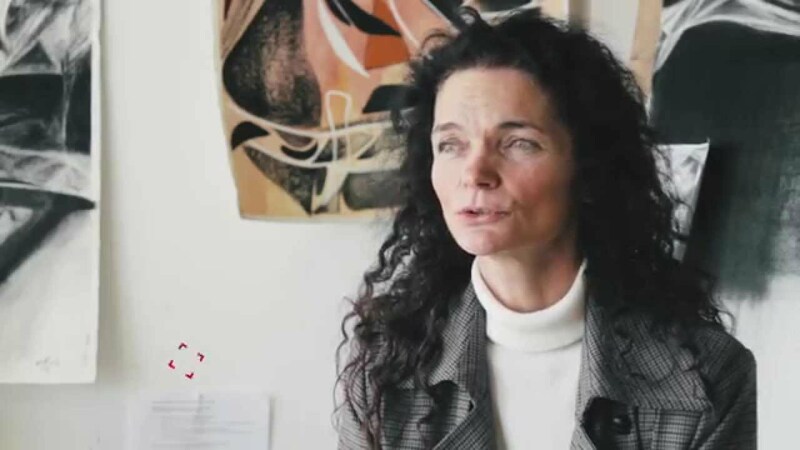 Meg Keating is the Visual Arts Research Coordinator and Studio Coordinator of Painting. She is a multidisciplinary artist, crossing installation, painting, and paper cutting. 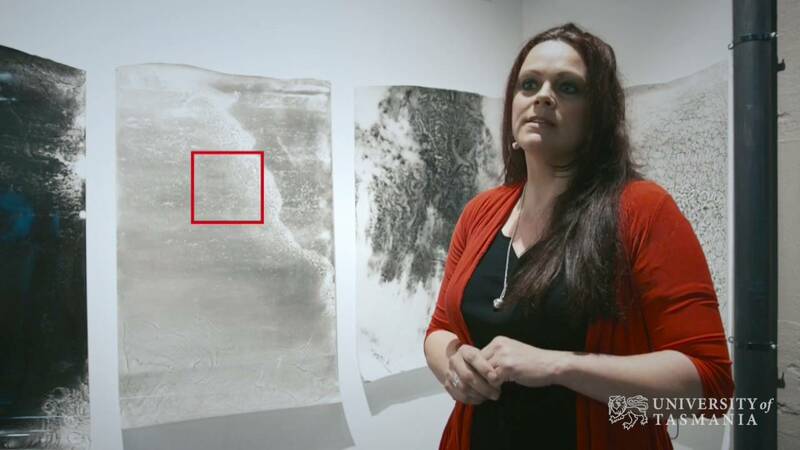 Her works explore intersections between the natural environment, technology and culture.